The Honda Crosstour is an oddball in the company's lineup. It's essentially a mid-size hatchback with a sloped tail, giving it a somewhat ungainly outward appearance but slightly more cargo room than an Accord sedan. Unfortunately, it's unique design renders it less functional than the Accord wagon once offered by Honda. The Crosstour, unlike the Accord sedan and coupe on which it's based, offers optional all-wheel drive but is less capacious than even Honda's small CR-V crossover. The Crosstour is easily identified by its looks, and often criticized for them as well — specifically its backside. 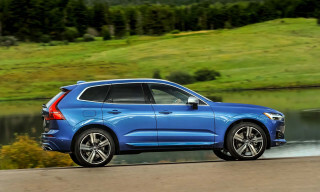 Blending a five-door hatchback with all-wheel-drive utility is a tough task, as several German luxury brands have learned. The big, rounded tail of the Crosstour looks bulbous and oversized, but the interior room it offers just isn't necessarily what you'd anticipate. If styling matters to you, it's probably not worth the trade-off. For more details on the Crosstour, including prices, options, and specifications, see our 2015 Honda Crosstour full review. You can also see the Crosstour vs. its competitors. Those shopping for an all-wheel-drive Honda would do better to look at the CR-V, Pilot SUV (also Accord-based), or even the new small HR-V crossover. In 2010 and 2011, Honda offered only its tried and true V-6 in the Accord Crosstour. In 2012, a four-cylinder drivetrain was added, and both remain available today. The 3.5-liter V-6's transmission has been upgraded to a six-speed automatic with paddle shifters, though, which improves gas mileage; the four-cylinder still retains a five-speed auto. 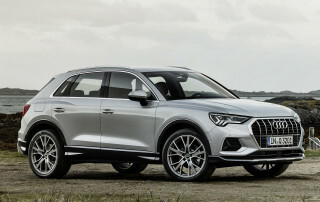 All four-cylinder Crosstours are front-wheel drive, by the way, in case you're cross-shopping against a Subaru or Audi; all-wheel drive is offered only with the V-6. The Crosstour's performance stays fairly true to today's Accord, despite some thorough reworking of its suspension. The Crosstour has a few inches more in ride height than the sedan, and the roofline's nearly 8 inches taller. In theory, that creates much more interior space. 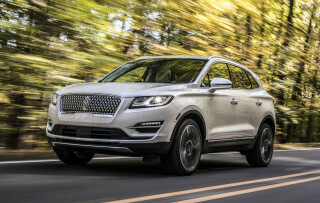 In practice, it also adds a few hundred pounds to the sedan's base curb weight, and the extra pounds are tough to disguise once the Crosstour is keyed to life. The Accord sedan's nimble feel is gone, but the ride quality is still very good. Interior materials and build quality are similar to those of the last-generation Accord sedan. Similar to that model, the Crossover has a abundance of buttons lining the dash and center stack; it's very different from the simple, low-cowl layouts of Hondas of old. The Crosstour is easier to get in and out of than the Accord four-door thanks to its higher H-point, but it doesn't offer a lot more room, especially in the rear where the roofline cuts in. As a utility vehicle, though, the Crosstour comes up somewhat short. 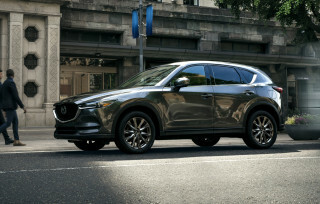 Buyers can get an all-wheel-drive mid-size car that's specifically not a tall, boxy crossover, but the sloping tailgate limits the size of items that can be carried in the load bay. While the rear seats fold down for longer objects--a bag of skis, for example--the cargo floor is high. Worse yet, the rear suspension strut towers are so large that there's less than 30 inches between them--meaning even a large dog carrier may not fit in the Crosstour. Fuel economy is indeed lower than an Accord sedan's, but it's not quite as low as that of a more traditional crossover utility vehicle, ranging from 25 mpg combined for the four-cylinder model with front-wheel drive to 22 mpg combined for the all-wheel-drive V-6. 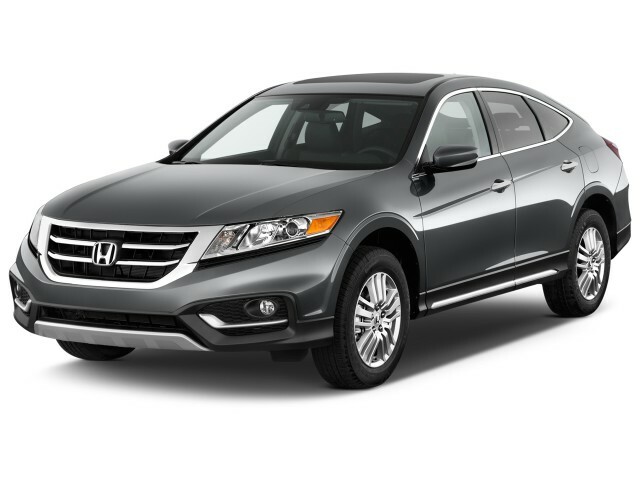 For the 2013 model year, Honda tried to mitigate some of the ungainly looks by "Outbacking" the Crosstour. It added a slimmer grille along with bodyside cladding that cleans up the shape a bit. It's far from a dramatic change, but it helps somewhat. There have been few significant changes since 2013, but that refresh included feature updates, with active-safety features like LaneWatch blind-spot assistance, Lane Departure Warning (LDW), and Forward Collision Warning (FCW), and infotainment was upgraded to include Aha capability, Pandora, and Internet radio capability--and even a feature for SMS text messaging. The Crosstour has seen few changes since then. 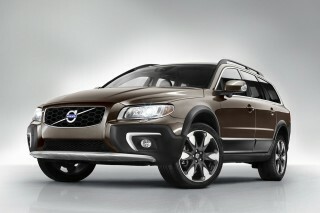 It will end its run after the 2015 model year. Honda has announced that it is realigning its production capacity and will allocate the Crosstour's spot to models that are more popular and in higher demand. The Shawshank Redemption of the car world.